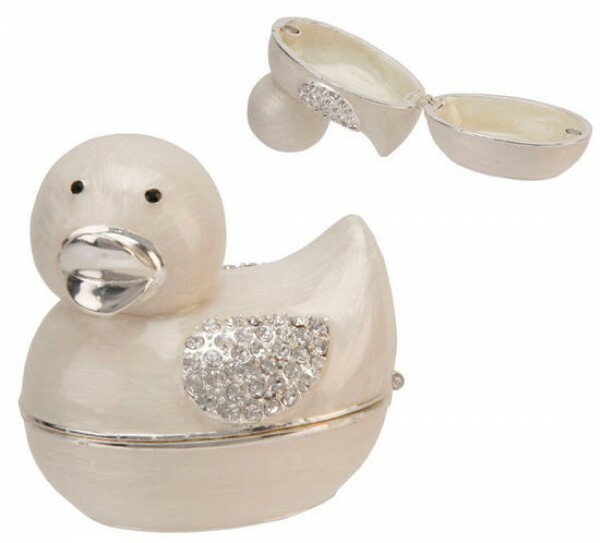 A beautiful trinket box gift from the exquisite Bambino range. Silverplated with mother of pearl colouring (epoxy). Overall size approximately: 6cm (2¼") tall x 6cm (2¼") wide x 4cm (1½") deep.